Happy 2015, my musical geek squad. This year marks the 60th anniversary of the Rock Era (a.k.a. music as we know it, since it effectively replaced the Big Band and Swing Era and has yet to morph into something else). Let’s kick off the new 365 with a hunk of learning to get your synapses burning. I’m gonna drop some historical knowledge into your brain receptacle — so open wide. Ain’t no party like a history party cuz a history party don’t stop! In 1955, Bill Haley & The Comets shocked the world with “Rock Around The Clock,” gaining fame and fortune and causing teens to lose their minds and riot. That same year, over in London, another man quietly — acoustically, even — changed the face of music. Lonnie Donegan spent the early 50s playing Dixieland-style guitar and banjo in the very popular “trad jazz” bands of Ken Colyer and Chris Barber. During concerts, while the horns and reeds took a break, Donegan and a couple of the other guys would play stripped-down, uptempo folk and blues with guitar, upright bass, and a washboard for rhythm. 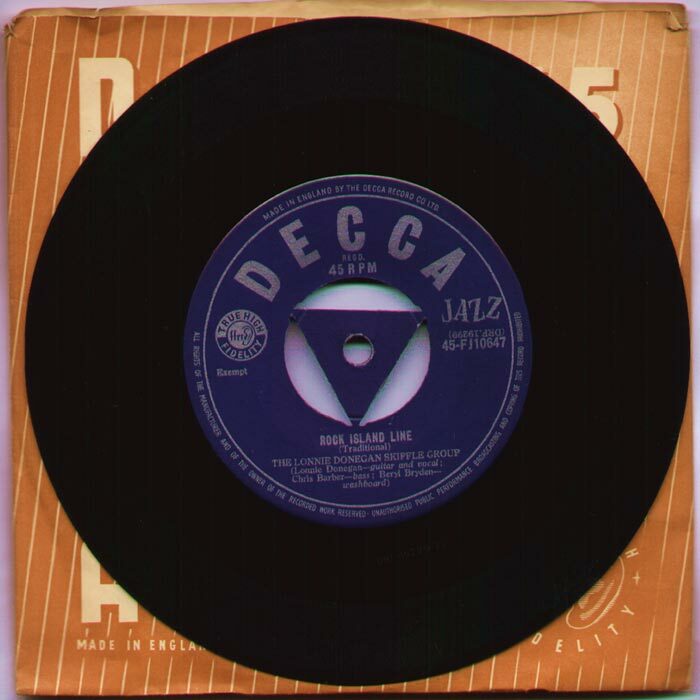 Someone dubbed the style “skiffle” and it became quite popular with audiences. However, the greatest impact of Lonnie Donegan’s first single and the ensuing skiffle boom, occurred — like so many musical revolutions — with the kids. Unlike the music of their parents, one didn’t need Sinatra’s voice to sing skiffle; one didn’t need Goodman’s expensive (and time-consuming to learn) clarinet. The only necessary equipment to whip up a band in a weekend was a cheap guitar, a washboard, and a tea-chest bass (literally made out of a wooden chest and a broomstick). It didn’t even matter if you knew how to play. This simple DIY approach ensured that hundreds of bands sprouted up overnight, playing a ramshackle mix of skiffle and rock & roll with a good deal more enthusiasm than expertise. And from those bands emerged members of The Beatles, Led Zeppelin, The Hollies, The Who, Yes, and virtually every other UK group from the 60s. 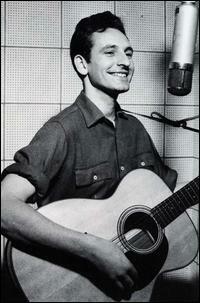 All the kids wanted to be Elvis, but Lonnie Donegan showed them how to get started.